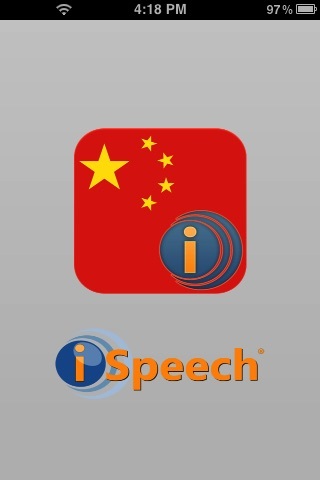 Speak and translate any words or phrases including email or text to Simplified Chinese with iSpeech Translator™. The app’s human-quality text to speech and speech recognition are brought to you by iSpeech®, the creator of DriveSafe.ly®, award-winning leader in texting while driving applications. Speak or type any phrase and listen to the corresponding translation in Simplified Chinese iSpeech Translator™ Features: *Translate any text by speaking or typing it *After typing or speaking the phrase, the translation will appear in the text box *Cut and paste from web browser, chat applications, emails *Share your favorite translations with friends on Facebook and Twitter iSpeech Translator™ iSpeech Translator™ is powered by iSpeech®, a text to speech and speech recognition cloud. To speech-enable your apps, visit the iSpeech website (www.iSpeech.org) and download free SDKs for your platform.